This Chair is 100% American made with some very cool options. If you love the way it looks and feels then take it home today. If you would like to customize it then just let us know because this company ships in 28 days!!! See you soon. 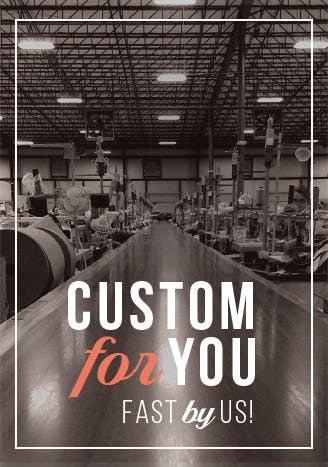 In the quiet foothills of East Tennessee, England Furniture has been crafting quality upholstered furniture since 1964. Co-founded by brothers Charles, Eugene, and Dwight England, their goal was to employ the proud and hardworking people of Appalachia. Today, the company and legacy they built continues to be recognized for the highest quality and the shortest build cycle. So, what is the England difference? Our dedicated and skilled Tennessee craftsmen and craftswomen who build each piece of furniture custom for your home, and built to last a lifetime. With over 500 fabrics and leathers to choose from, England offers the broadest selection and countless combinations to help customers create something special and uniquely suited for their home. Built in America, England delivers orders in three weeks or less. Always. Without fail. With such efficient manufacturing capabilities and enviable logistics, England attracted the attention of La-Z-Boy Co. and now operates as an independent division since 1995. You'll have an attractive and comfortable addition to your family room decor with this sectional. With its casual deep seating and generous sizing this set is made for lounging. Loose back pillows and flippable seat cushions with lifetime warrantied cushion cores means you and your friends and family will be crashing in comfort for years to come. Design yours in over 250 fabrics and a huge selection of layouts to fit most any room and start enjoying a little chill time. Comfy and casual, this reclining console loveseat is sure to leave you pleased. The piece has a pillow back as well as arms and good back support.